The Sabre is a fine shaver, but somehow the razor fails to keep my interest. This is my second go-around with the Sabre, thinking I had not given the first one enough time. I'm afraid it's more than that for me, though. 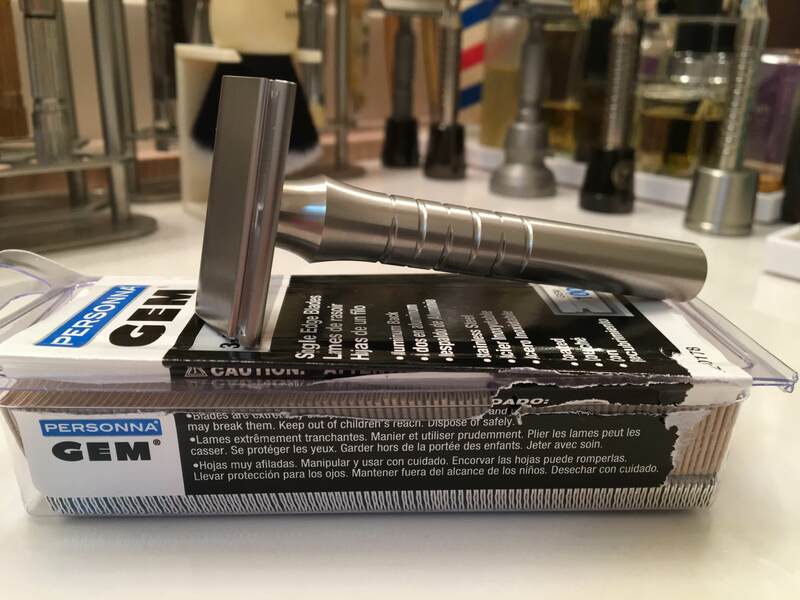 Although I'm a predominantly straight razor shaver, the single edge safety razors fail to give me enough pleasure to keep. I also have the Mongoose and it, too, fails to grab my fancy. I have used this Sabre three or four times, maybe five. It is in perfect shape. New, the razor is listed at $185. Your price, including about 90 or 95 GEM blades, is $165 shipped U.S. Paypal is fine. No trades, please. Thanks.